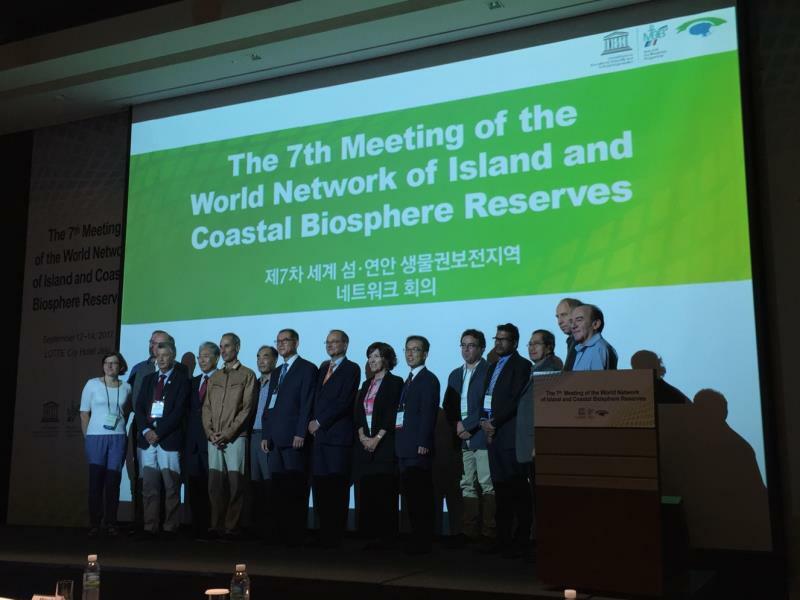 The seventh meeting of the World Network of Island and Coastal Biosphere Reserves has been celebrated on Jeju Island the past 12-14 September. During these days, an agreement has been signed which links the three parties (Jeju, Menorca and UNESCO) for another five years to maintain the Network. The specific work plan for the Network has been discussed, and a regulatory framework of the Network has been approved that defines its objectives, functions, composition and organization. An agreement ceremony was held where Minorca committed to continue to contribute to the Network € 50,000 and Jeju € 100,000, annually, over the next 5 years. During the weekend, the 5th UNESCO Training Course for Island and Coastal Biosphere Reserves Managers has been given. The purpose of this training course is to share experiences and build the capacities for adapting to climate change and for achieving sustainable development. The World Network of Island and Coastal Biosphere Reserves currently includes more than 70 island or coastal area biosphere reserves, which represents 10% of the total biosphere reserves worldwide. Despite the different characteristics, locations and dimensions, they share the level of vulnerability to climate change and sea level rise among other common threats. On this basis the networking project arises to promote mitigation and adaptation strategies in the biosphere reserve members.